Over the 60 years I have been writing specifications, I have not read a single satisfactory suggestion as to how to deal with the thorny subject of “or equal” when it applies to below-grade waterproofing. Special Meaning Intended: To possess some performance qualities and characteristics and fulfill the utilitarian function without and decrease in quality, durability, or longevity. No inference that items must be identical in all respects if above conditions are met. Dictionary Definition: Of the same quantity, size, number, value degree, intensity. Layman’s Meaning: The items are identical in all respects without any difference. Professional Liability Implications: Judge and jury sometimes tend to view the design professional’s acquiescence in use of an item which is not identical to that specified as a waiver of original requirements. The first definition is usually the one that applies to what the specifier had in mind when he or she named a product for use in below-grade waterproofing. However, owners and lawyers generally interpret the phrase as defined in the latter three definitions. To compound the matter, the specifier is often obliged by the owner or public agency to include the term “or equal” when a single product is specified whether there is an equal or not. Many governmental and quasi-governmental bodies require the specifications list at least three manufacturers or that a single manufacturer is specified accompanied by a list of physical properties together with the phrase “or equal” or “approved equal”. While this is applicable to the vast majority of building components, it can pose a dilemma for the specifier of waterproofing products and systems. Although the “or equal” clause is generally argued as good government practice to protect against corruption and encourage contractors to obtain the lowest possible bid for a system, it is inapplicable to selecting a waterproofing system for basements subject to hydrostatic pressure. There are many waterproofing systems manufactured for plaza and below-grade use. For example, several frequently specified waterproofing membranes for use on a plaza are sufficiently similar so they can be considered as ‘equal’ and can satisfy this requirement. These include self-adhering rubberized asphalt, some single-plys, single-component polyurethane, and polymethyl methacrylate (PMMA) products. Plaza waterproofing is often similar to protected membrane roofing, and is not subject to significant hydrostatic pressure. On the other hand, below-grade waterproofing not only must be able to perform when in a continuously moist environment, but also in the presence of hydrostatic pressure. Additionally, systems for use under pressure slabs and pre-applied applications, with the exception of bentonite-based systems, must be able to bond with the concrete cast against it. When compared to one another, the fact is most membranes manufactured for use on below-grade foundations and under pressure slabs are unique; they frequently have completely dissimilar properties. Moreover, their application often differs from all the other competing products. Thus, it is almost impossible to specify an “or equal” or even list several manufacturers for a single project that can satisfy this requirement. With the exception of some geotextile-faced modified-bitumen (mod-bit) sheets, the writer is unaware of any products that can be deemed comparable for use under pressure slabs or for blindside foundation wall applications where the membrane is required to adhere to the concrete cast against it. Many solutions have been proposed. One is to write a section specifying a single product followed by separate sections for alternates. This simplifies the specification problem, but creates the predicament of which product to depict on the waterproofing detail drawings. Some governmental agencies—such as the Department of Defense (DOD) and the General Services Administration (GSA)—and educational institutions have a policy of accepting substitutions provided a ‘sole-source justification form’ is submitted and approved for procuring an alternate material. This does not solve the problem of providing wording in the specification that defines the material properties on which the substitute product may be judged. The dilemma of “or equal” will continue to plague the waterproofing industry until such time as public and private institutions and legislatures provide a solution to this Procrustean problem. It is not uncommon for legislative bodies to enact statutes that provide tax exemptions for individual corporations or industries, or give preferential treatment to a specific company or organization—one will never find the phrase “or equal” in the text of these statutes. Perhaps this may provide a way to solve the “or equal” dilemma for the waterproofing specifier—either convince the lawgivers to recognize the problem and revise this restrictive phraseology in their existing statutes, or retain an attorney with expertise in preparing government legislation to write this part of the waterproofing specification. Justin Henshell, CSI, FAIA, FASTM, is a principal in the firm of Henshell & Buccellato Consulting Architects, specializing in moisture-related issues in the building envelope since 1974, including roofing, masonry walls, waterproofing, and condensation. He has authored almost 60 technical articles and papers and presented them in the United States, Canada, and Europe. 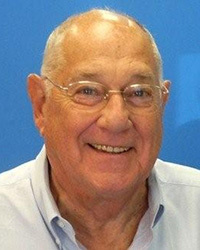 Henshell is the principal author of two ASTM standards on waterproofing design, a co-author of an NCARB monograph on built-up roofing, and the author of The Manual of Below-Grade Waterproofing Systems (John Wiley & Sons, 2000). He can be contacted via e-mail at justin.henshell@verizon.net. Great article that applies to far more products than just waterproofing! At some point building owners need to realize that they are the one’s that get hurt by this program because “or equal” is subjective. What I see most frequently is GC’s winning projects using the manufactures listed as “basis on design”, then shopping like crazy post-award for “or equal” products to reduce cost. Does the owner ever see this “savings”? Aren’t the owners paying for the base bid product and obtaining something lesser?